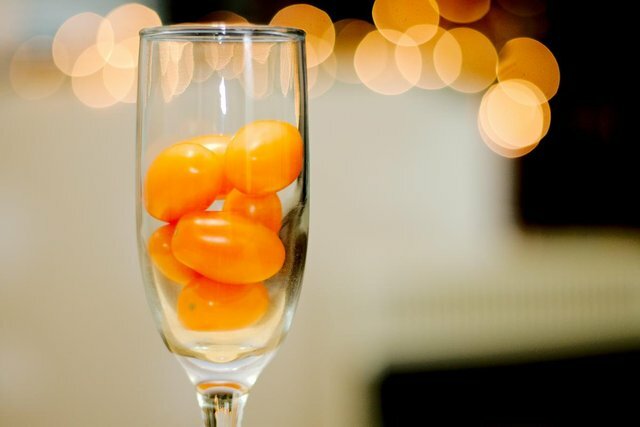 Color Challenge Tuesday - Orange - Tomatoes in a Flute LOL Not that kind of Flute! Had some of these orange tomatoes left over this week and I was just messing around with the camera and Christmas lights, so I thought I would try this one out. Tell me what You think! As always, I use all my own original material! Well except this logo, made by @papa-pepper!! Looks magical especially with the bokeh in the background!